You can see lots of our farm shop produce in the field as you come down the drive to the nursery. 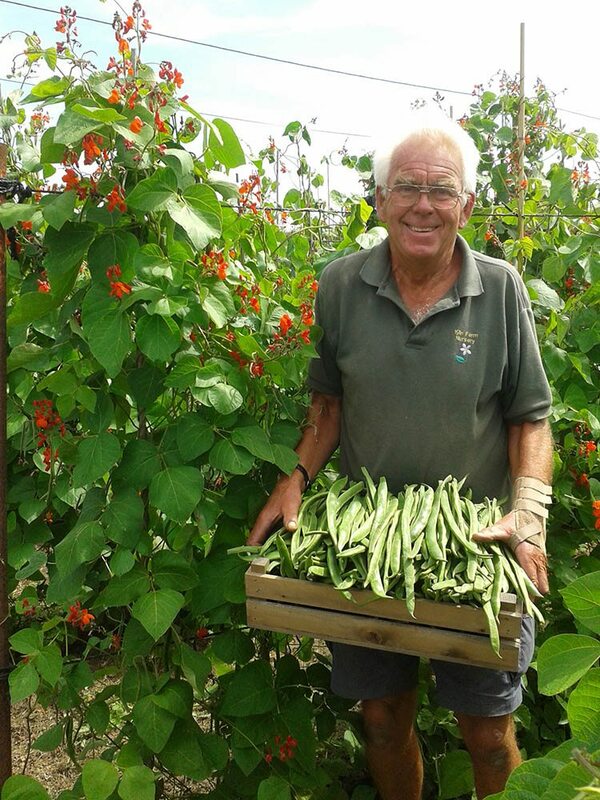 We pick our runner beans, rhubarb, asparagus, pinks and sweet peas freshly each day when they are in season. 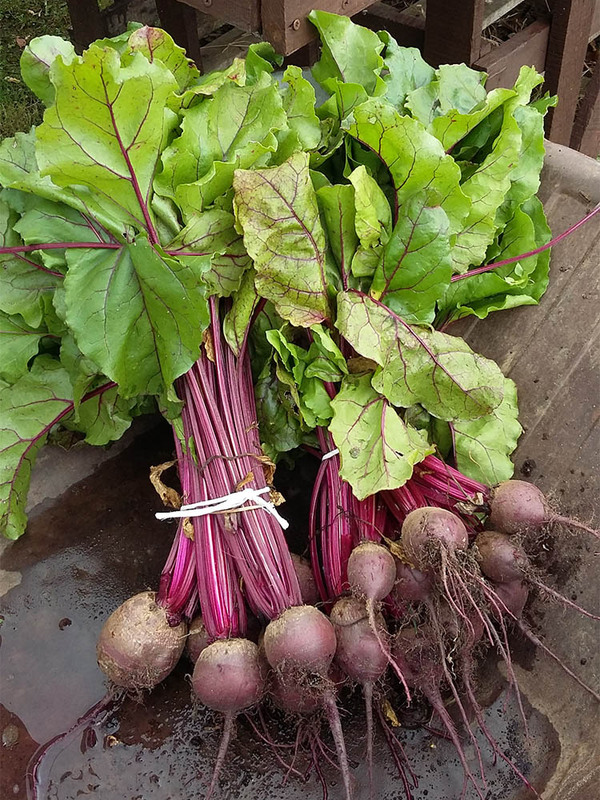 We also grow spring onions, butternut squash, beetroot, courgettes, leeks and marrows. We sell hay and straw from the farm by bale or bag. 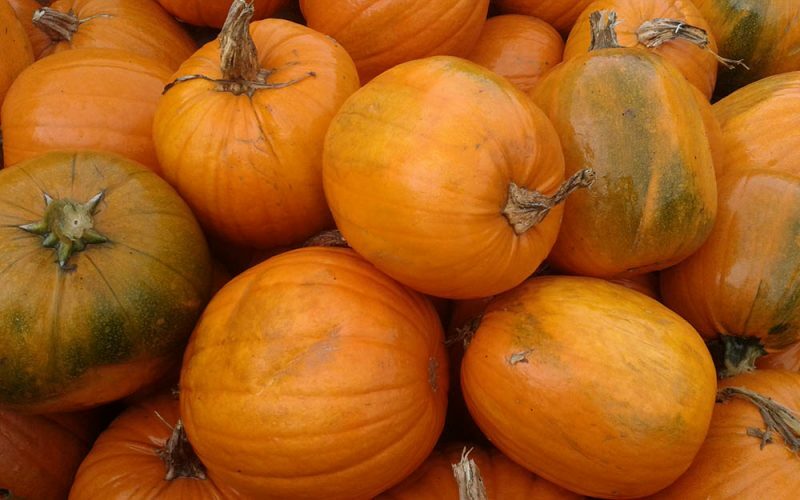 But don’t forget to make a special trip in October to choose your pumpkin. 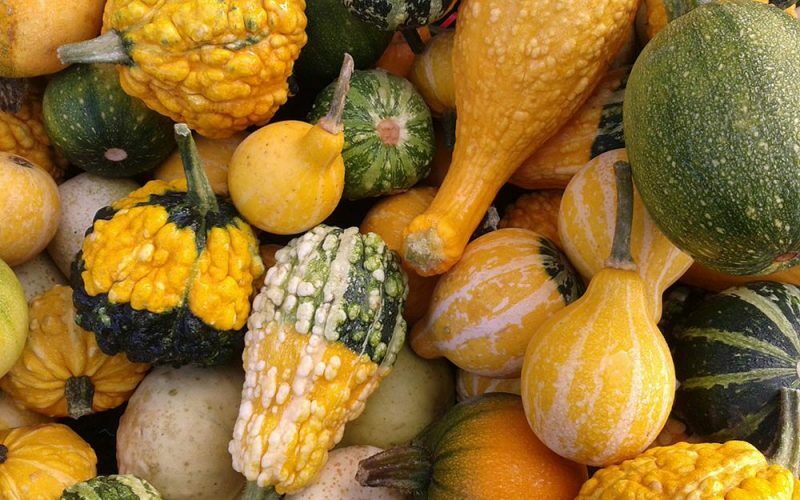 We grow an array of all shapes and sizes. Our lambs are born and spend most of their days on ‘Sunnyfields’ – the field behind the nursery. Ralph, the farm manager, looks after them and also keeps bees there. 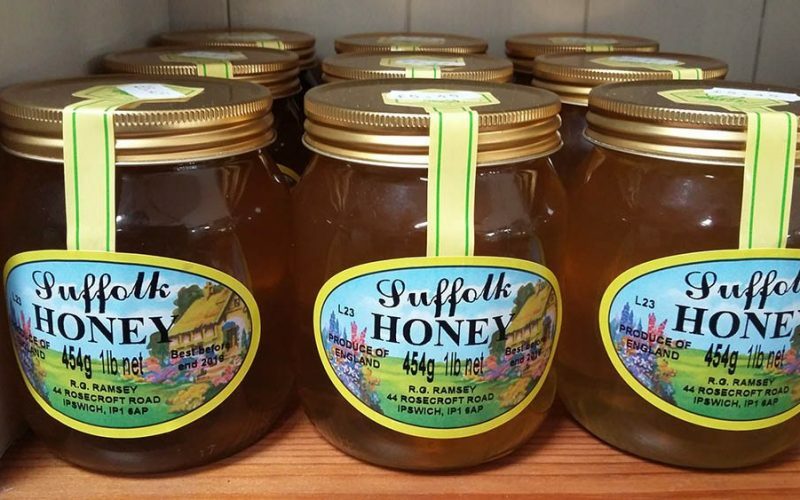 We are the sole stockists of Kiln Farm lamb and his Kiln Farm Honey called 'Hardy's Honey'. Lamb is available in our freezer – mince, diced, chops, shoulder, leg and burgers. We feel privileged to be part of the life cycle of livestock on the farm and have the bees pollinate our plants and flowers. We believe that you can really taste a difference when you eat local and fresh produce. We always try to source other products as locally as we can. We sell local potatoes, free range eggs, Marybelle Milk from Rendham and greens from Spalding in Lincolnshire. 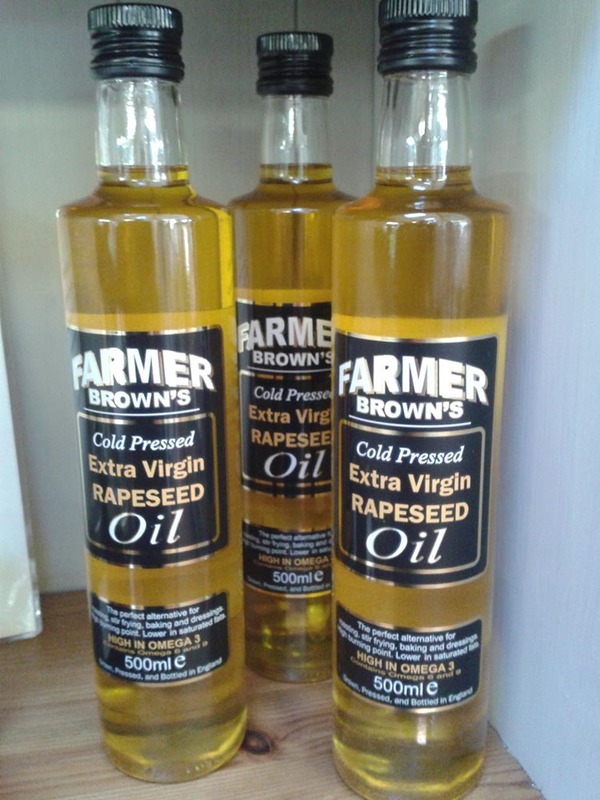 We also like to have products that may not be available in the supermarkets. We sell pickles and chutney’s made by Nahida, Kesgrave, Suffolk Fruits Jams from Henley, Marmalade made by Paul’s mum, Stokes sauces, Curry with Love by two ladies in Bury, Rapeseed cooking oil from fields in Suffolk and Essex and local crisps from Fairfield’s Farm in Essex. If you fancy a treat we also have homemade cakes and local ice-cream! We now have a small Coffee shop where you can sample them!